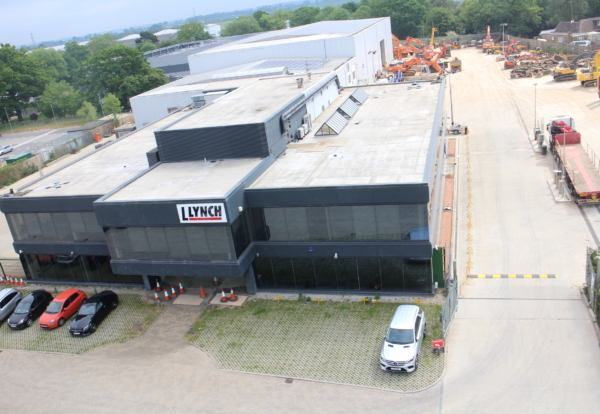 L.Lynch Plant Hire and Haulage Ltd has moved its headquarters to Hemel Hempstead to accommodate future growth. The hire specialist is expanding its premises from 103,000 square feet to 208,000 square feet at the new location. The new redevelopment combines office space, workshops, training facilities and will act as a ‘Super Centre’ for all Lynch plant and hire equipment in London and the South East. Director Rob Lynch said: “We believe that our customer growth over the past few years is a result of our emphasis on the quality customer service we strive to provide. Fellow director Merrill Lynch added: “This is an exciting time for L.Lynch and marks a huge milestone for the company, its employees and customers who will all benefit from the opportunities this expansion present. “Prior to purchasing the site the directors engaged in a lengthy consultation period to focus on the company’s key objectives and ensure the new site could provide the business with everything it requires for future expansion and growth. “One of our focuses in the design and rennovation of the building was to allocate greater space to accommodate our in-house Service Centre which will enable us to keep costs to a minimum while also providing a high-quality product.